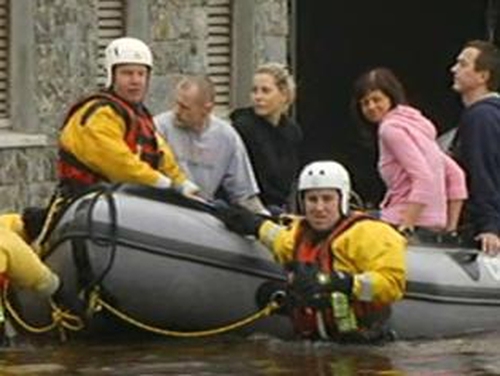 Carlow town is at the centre of a flood alert tonight. 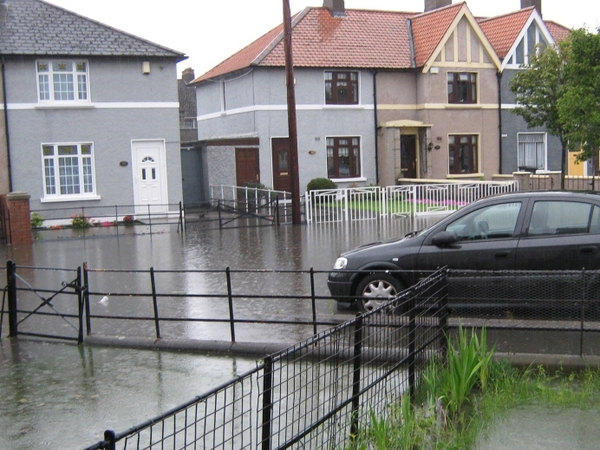 Rising waters from the River Barrow is causing severe problems and over 100 people had to be evacuated from a four-storey apartment block on Centaur Street. Kennedy Street is also closed due to flooding. Further heavy rain is predicted overnight and for tomorrow morning across much of the country. The Civil Defence says it is monitoring two other apartment blocks and will evacuate them if waters rise further. Elsewhere in the county, the road between Tullow and Rathtoe is blocked after a two-car collision this evening. Six people were injured in the crash. They have been brought to St Luke's General Hospital in Kilkenny, however their injuries are not believed to be life-threatening. Gardaí have said there is still flooding in Daingean and Edenderry in Co Offaly where the canal burst its banks, and there are reports of flooding around Clonygowan. In Co Laois, the main street in Mountmellick is flooded, while the Mountmellick to Ballyfinn road (R423) and the Mountmellick to Derryclooney road are both impassable because of flooding. Diversions remain in place on the N77 Kilkenny to Durrow road due to flooding at Ballyragget. In Galway the N59 on the Oughterard side of Moycullen is partially blocked after a truck overturned. In Northern Ireland, the M1 has reopened inbound from Black’s Road to Stockman’s Lane and outbound from Saintfield Road. The M2 has fully re-opened. Stena Line’s fastferry sailings between Rosslare and Fishguard tomorrow have been cancelled due to severe weather forecast for the south Irish Sea. All car passengers will be accommodated on the conventional sailings at 9am and 9.15pm to Fishguard. Oakwood passengers will need to rebook for another date.